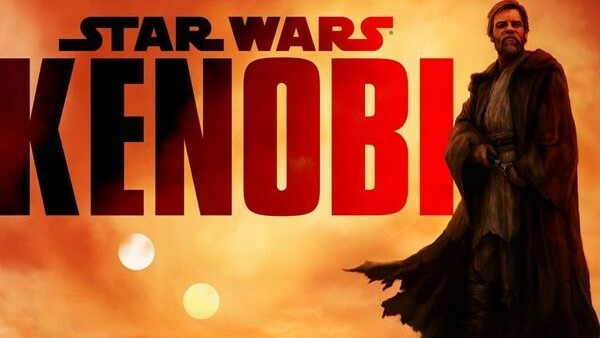 'Kenobi: A Star Wars Story' sounds brilliant, doesn't it? It isn't hard to see why the legendary Obi-Wan is such a fan-favourite, having been brought to life by the late Sir Alec Guinness and also Ewan McGregor too, the iconic Jedi is one of the only elements of consistency in the saga, with the brilliance of the character coming from the fact that he is as equally as fantastic in 'A New Hope' as he is in 'Revenge of the Sith,' or both the Clone Wars animated adaptations. McGregor actually got a minor cameo in The Force Awakens, and one can only hope that another appearance is on the cards for The Last Jedi. There are plenty of stories left to be told, all of which possess great potential to tell a fundamentally different and engaging Star Wars feature. Indeed, Obi's one of the biggest personalities in the Star Wars canon, and it must be said that a solo feature - one free from the ensembles that have so often dominated the franchise - is long overdue. It would be a deviation from the norm of past literature, but given the success of Rogue One, change - at least in respect to a galaxy far, far away - can only be a good thing. One of the few redeeming features of George Lucas's much maligned return to the saga, McGregor's performance as Obi-Wan was a more than commendable take on the role brought to life by Alec Guinness. McGregor managed to embody the sarcasm, irony, and most importantly the intelligence of the character that had come to define the Jedi as soon as he walked onto screens in Star Wars' debut in 1977, which pretty much makes him a no-brainer to return to the role if Disney pursue it further. All signs at this stage point towards the Star Wars veteran reprising his role as the character, with the actor previously stating he'd be more than enthused about returning if given such an opportunity. McGregor's brief appearance in Rey's vision during The Force Awakens' second act would indicate that the House of Mouse is at least dabbling with the prospect of seeing the actor don the Jedi robes once more, but it's about more than just retaining a simple sense of continuity. McGregor navigates the character with such a proper sense of self-awareness yet emotional warmth that makes him irreplaceable in the position. Furthermore, if we were to take the belief that Disney are looking to position the character in his self-imposed exile on Tatooine, McGregor is at the perfect age to explore his early years on the planet, watching over a young Luke Skywalker yet unable to train him at the behest of his adopted family.